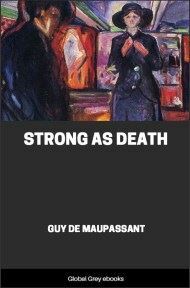 A master of detailing social behaviour, Guy De Maupassant's Strong As Death tells the story of Olivier Bertin, and his mistress Comtesse de Guilleroy. Her daughter comes to Paris to marry some Marquis, and Bertin falls for her. The scoundrel.